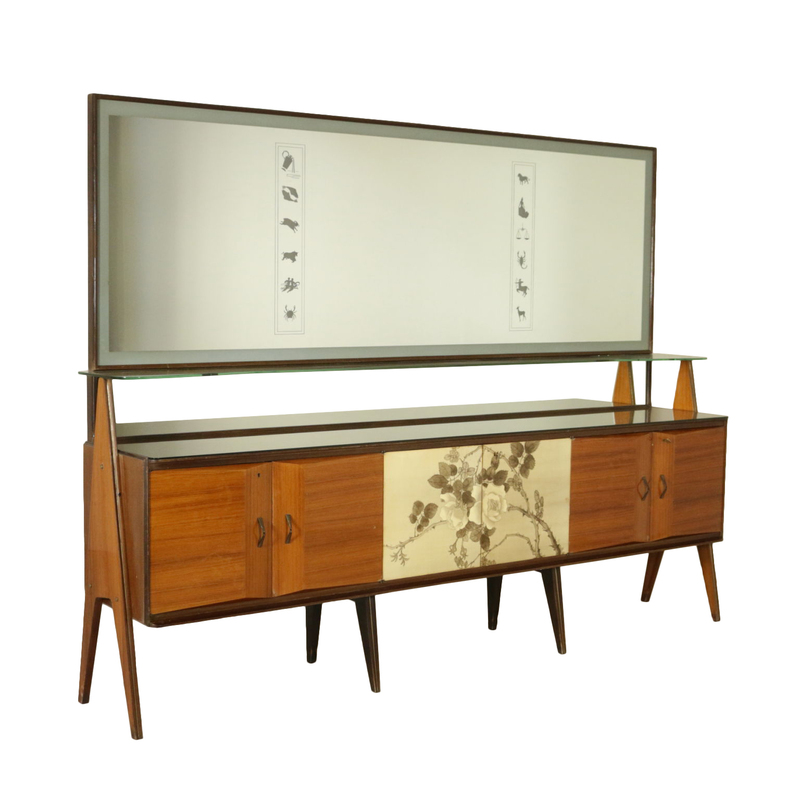 A sideboard with back-lighted mirror, rosewood veneer, screen printed panels, retro treated glass top and cut glass shelf in the internal compartment. Designed for La Permanente Mobili Cantù. Manufactured in Italy, 1950s.